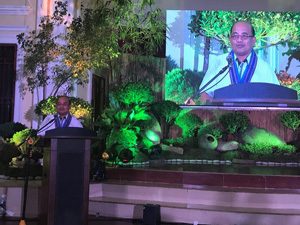 Old, unproductive rubberwood trees will soon become a valuable resource in Zamboanga Sibugay as a DOST-FPRDI project gets underway. The Institute recently trained 12 farmer-members of the Tambanan Agrarian Reform Beneficiaries Multi-Purpose Cooperative (TARBEMCO) on the sawmilling of old rubberwood logs.The cooperative is FPRDI's local partner in the project "Processing and Utilization of Senile and Unproductive Rubberwood (Hevea brasiliensis) Trees for the Production of High-Value Furniture, Mouldings and Joineries". 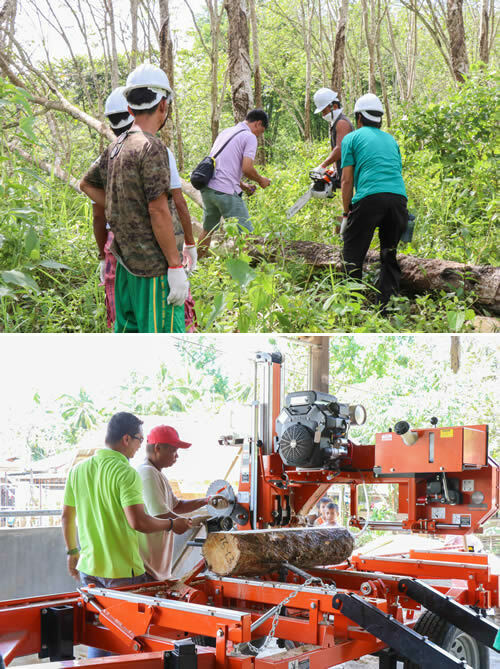 Held last April 23-26, 2018, the training taught participants how to properly cut rubberwood logs to ensure maximum quality, lumber recovery and safety for the operators. The training proper included lecture on sawmilling, and actual demonstration and operations of chainsaw and portable sawmill. Manuals on sawmilling were distributed to the participants after the training as ready reference for the conversion of rubberwood logs into lumber (photos above). 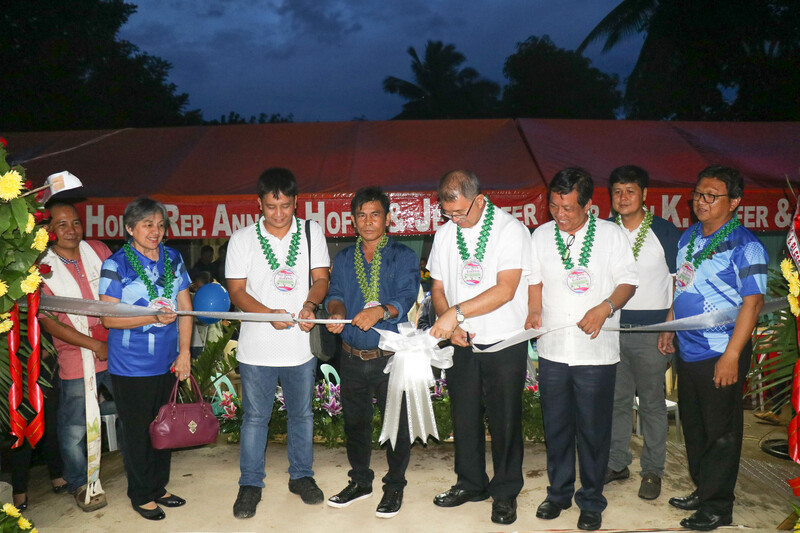 The trainees will later on be hired as sawmill operators of the province's newly established rubberwood processing facilities. 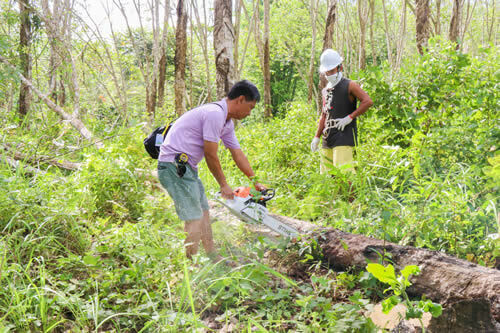 With 210 hectares of old rubberwood trees, TARBEMCO plantations are expected to yield 31,500 cubic meters of good lumber for use in high-value products.